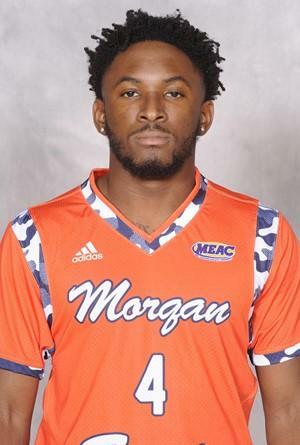 ORANGEBURG, S.C. (Feb. 9, 2019) – Stanley Davis scored 20 points on 8-for-11 shooting from the field to lead four teammates in double-figure scoring for the Bears (8-15, 3-7 Mid-Eastern Athletic Conference), who came up short tonight. Damani Applewhite scored a game-high 21 points, including the go-ahead dunk with 2:07 left, and South Carolina State rallied to beat Morgan State 85-81 on Saturday at the Smith-Harold-Middleton Memorial Center. Kyson Rawls (St Georges) scored 12 of his 19 points in the first half to help give the Bears a 39-35 halftime advantage. Antonio Gillespie finished the night by recording a season-high 17 points and was 5-for-8 from the 3, while Jordan Little chipped in 10 points (5-7 FG) with five rebounds. Lavar Harewood added 19 points and Janai Raynor-Powell had 15 points and seven assists for the Bulldogs, who improved to 44-35 all-time against the Bears. South Carolina State snapped its four-game losing streak and improved to 3-6 in the conference and 5-20 overall. Morgan State led 78-69 following a basket by Jordan Little with 5:33 remaining. However, Damani Applewhite and Ozante Fields combid for eight points as the Bulldogs' closed out the game on a 16-3 run. The Bulldogs would shoot 25 free throws, making 22 for 88 percent, while Morgan State was 11-for-15 for 73 percent. South Carolina State forced 17 Morgan State turnovers and turned those into 26 points. The Bulldogs also held a 28-24 advantage on the glass, and outscored the Bears by a 10-6 margin in fastbreak points. The teams were tied at 22 apiece with 7:20 remaining in the first half before Kyson Rawls nailed a 3-pointer to ignite a run. The Bears used a 17-5 run over a 5-minute stretch to take control of the ballgame. Jordan Little scored on a layup to give the Bears a 39-27 lead, its largest lead of the game with 2:12 left in the first half.